Craving Mexican? 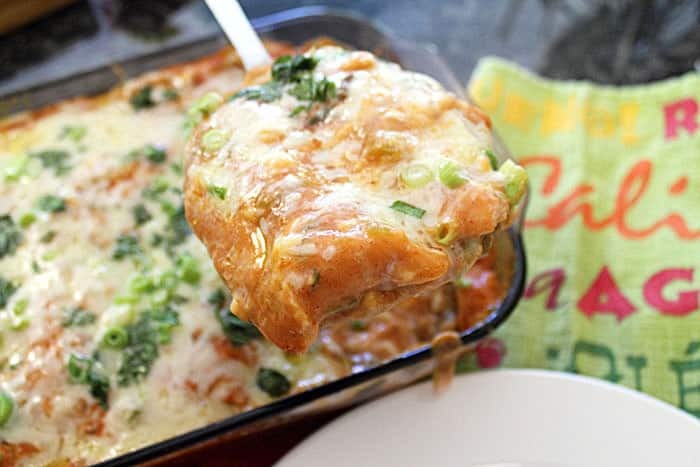 This easy Creamy Beef Enchilada Casserole has all your favorite Mexican flavors, green chiles, cilantro, cheese and enchilada sauce and goes together in 20 minutes. Just bake and serve with your favorite sides. There’s a gluten-free option too! 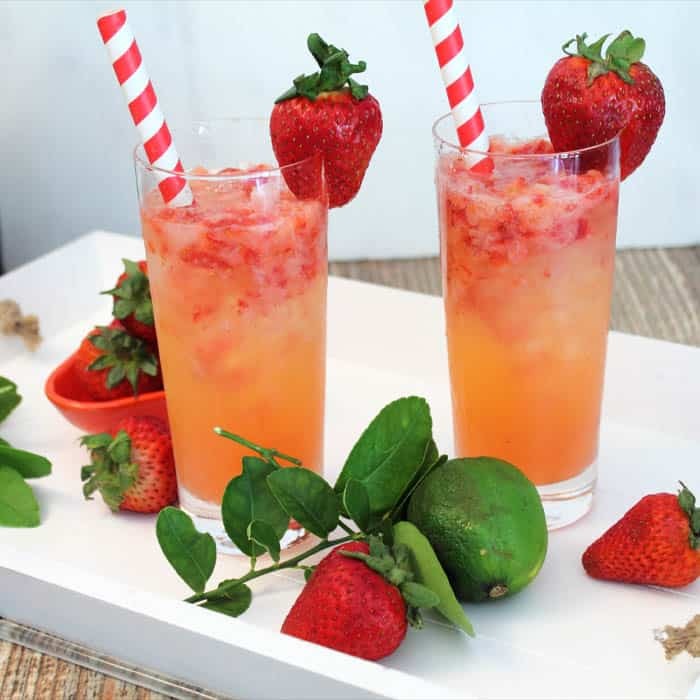 Perfect for your Cinco de Mayo celebration! Are you a Mexican food fan? Me too! I happen to love just about everything Mexican, like tacos, guacamole, taquitos, margaritas and, of course, enchiladas. I think I could have this fare every day of the week and never get tired of it. Why is Mexican cuisine so delicious? For me, I love the spices, like chili powder and cumin, herbs like cilantro, vegetables like bell peppers and green chiles, tasty salsas and plenty of cheese. 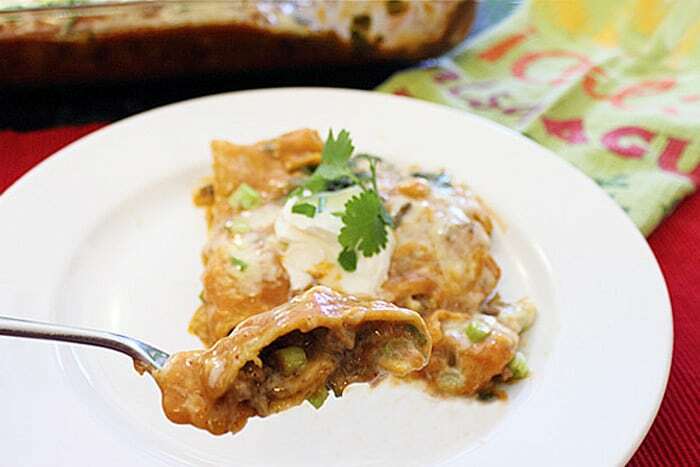 And most dishes are so quick to toss together especially this creamy beef enchilada casserole. It’s a meal you can assemble early in the morning and just put it in the oven when you get home. 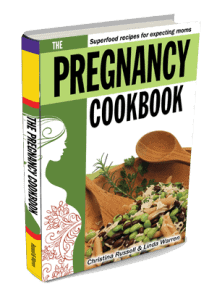 Your family will be suitably impressed that you created this delicious meal in no time. Chop the onions and throw in a skillet with ground beef and cook until beef is done. Stir in taco seasoning and green chiles. Brown each tortilla then dip into enchilada sauce. Place on a cookie sheet and fill with seasoned ground beef, green onions, a sprinkling of cilantro and cheese. Roll up. Place each filled tortilla in baking dish. 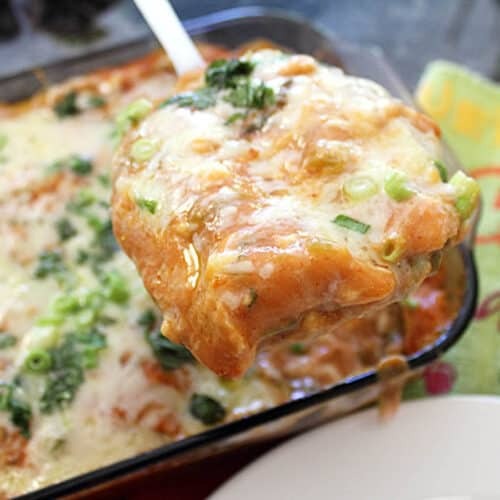 Cover with remaining enchilada sauce and sprinkle with lefover cilantro, green onion and cheese. Bake. Just look at all that ooey gooey cheese! Yum! When you’re ready to serve, here’s a little tip for you. If you let it sit for 10 minutes or so, after it comes out of the oven, it will be easier to lift out of the dish and serve (if you can wait that long!). Now take a bite. Oh, it’s just pure heaven! It’s creamy, cheesy and full of spicy beef and perfect to celebrate Cinco de Mayo along with a few margaritas. Salud! 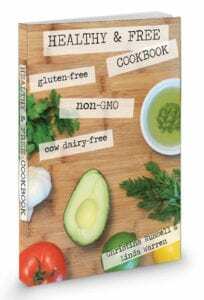 Need gluten-free? We’ve got you covered too. Just check in the options in the recipe card below. Craving Mexican? 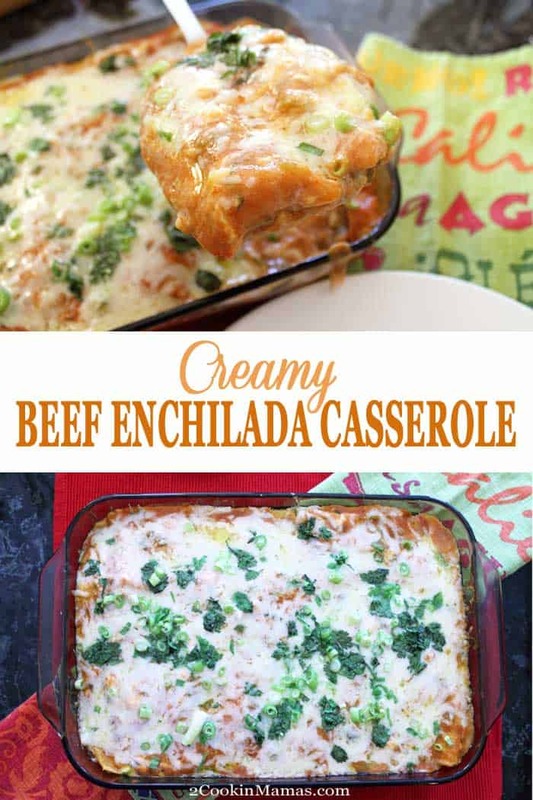 This easy Creamy Beef Enchilada Casserole has all your favorite Mexican flavors, green chiles, cilantro, cheese and enchilada sauce and goes together in 20 minutes. Just bake and serve with your favorite sides. And it's gluten-free too! Perfect for your Cinco de Mayo celebration! Preheat oven to 350 degrees. Spary a 13x9-inch baking dish with nonstick spray. Brown ground beef and onion in a large skillet, breaking it up as it cooks until no longer pink and onion is translucent; drain. Stir in taco seasoning mix and 1 can of chopped green chilies; set aside. Stir together remaining 1 can green chilies, soup, 2 tablespoons cilantro and enchilada sauce. Let simmer for 20 minutes. To assemble: Pour 3/4 cup of sauce into bottom of prepared baking dish. Cook tortillas in hot pan, no oil, until a little golden. 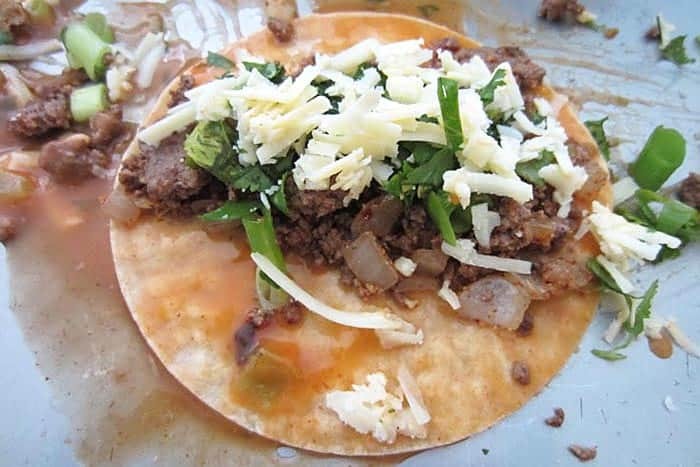 As you remove tortilla from pan, dip in sauce so covers entire tortilla then place on a cookie sheet and fill with beef mixture, green onions, cilantro and cheese. Roll up and place seam side down in baking dish. Continue until all tortillas have been filled. 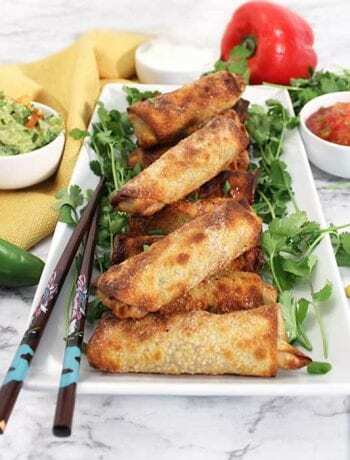 Pour remainder of sauce over filled tortillas and top with leftover cilantro, green onion and cheese. Bake at 350° for 20-25 minutes or until bubbling hot. 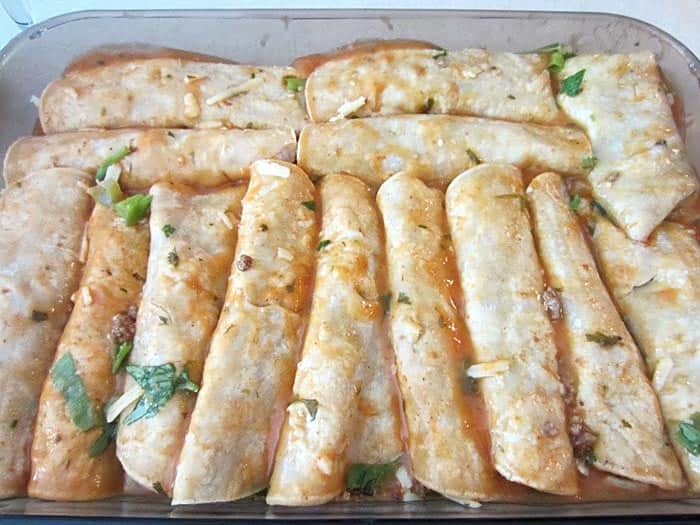 Serve enchiladas with preferred garnishes accompanied by sides of refried beans and Spanish rice. 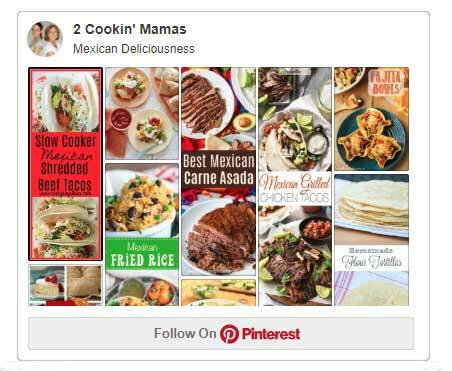 If you love Mexican, follow us on our Mexican Deliciousness board! 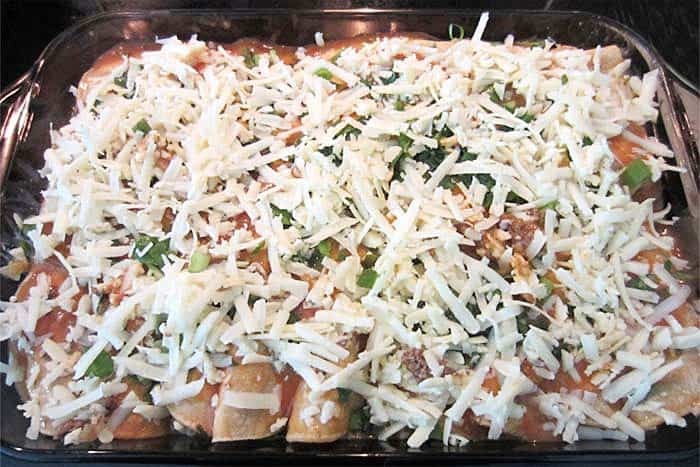 Enchiladas are always a big hit in our house, I’ll have to try this recipe the next time they’re on the menu. It looks SO tasty! They’re really popular in our house too! And I love that they don’t take very long to throw together. Hope you get to try it soon. Thanks April. 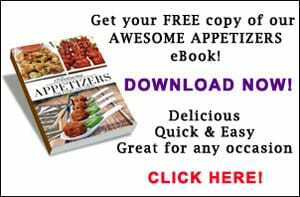 It’s a great recipe to keep in mind if you need to get dinner on the table quick. 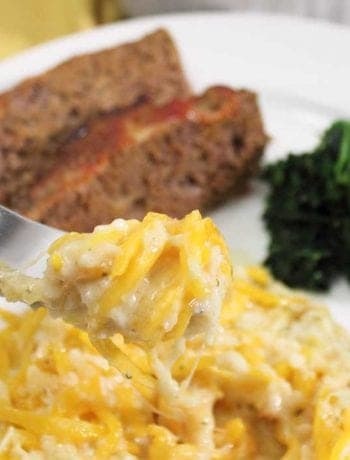 This casserole sounds like the perfect comfort food! I need to make this for dinner! It’s definitely nice and cheesy and comforting! Perfect for a quick dinner at home and great to help celebrate Cinco de Mayo tomorrow.